CLOSEOUTS. 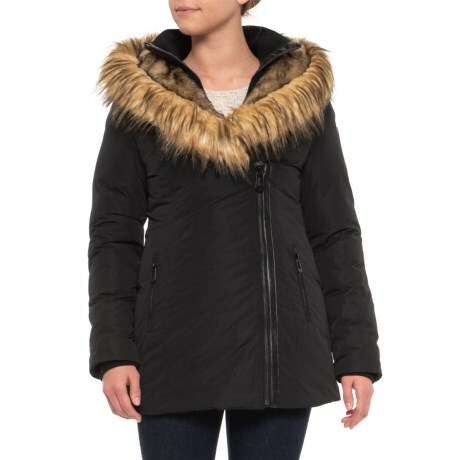 Add plush warmth and trendy style to your cold-weather outerwear with the Noize Flora mid-length jacket, finished with a extra-plush faux-fur trim and hood. Available Colors: BLACK. Sizes: XS, S, M, L, XL.